I had it all planned out. 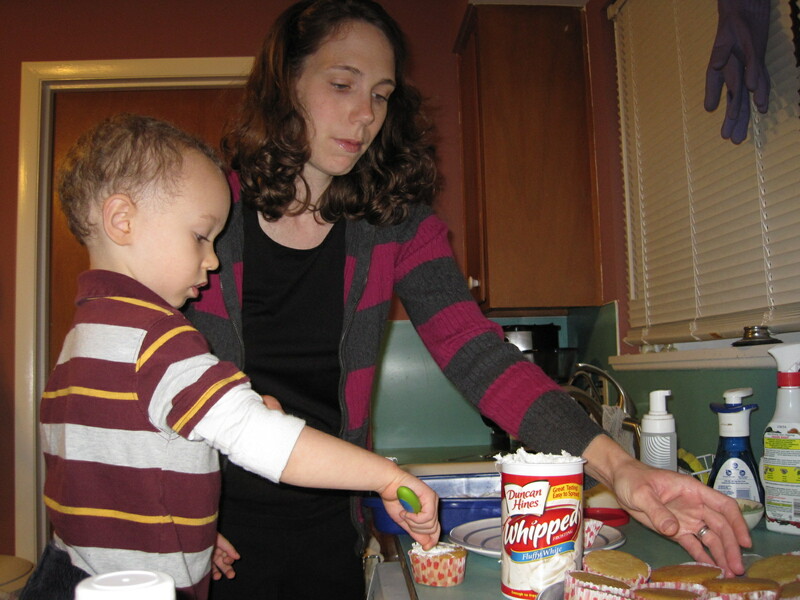 For Valentine’s Day, I was going to help Joseph and William make homemade Valentine cards and then Joseph and I would bake brownies and cupcakes for all of our loved ones. 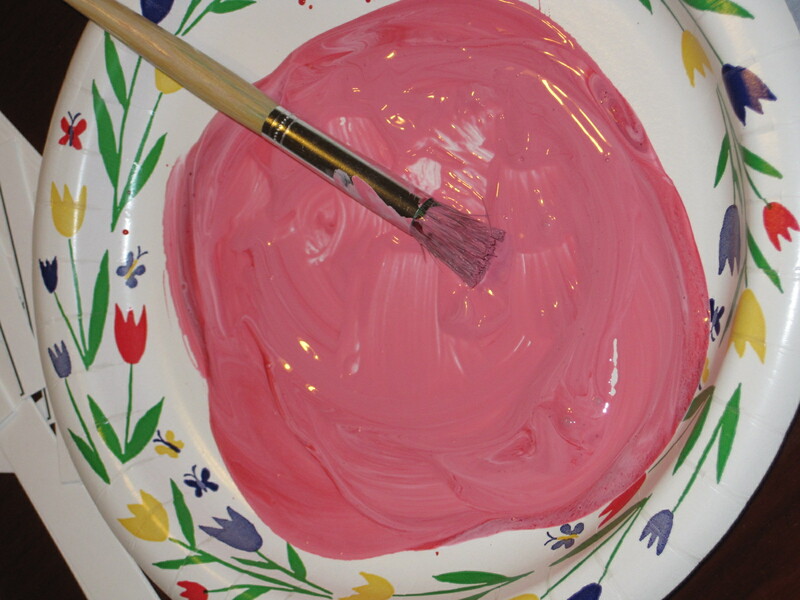 So I skimmed through some craft books and came up with a cute little design for the kids’ Valentines. 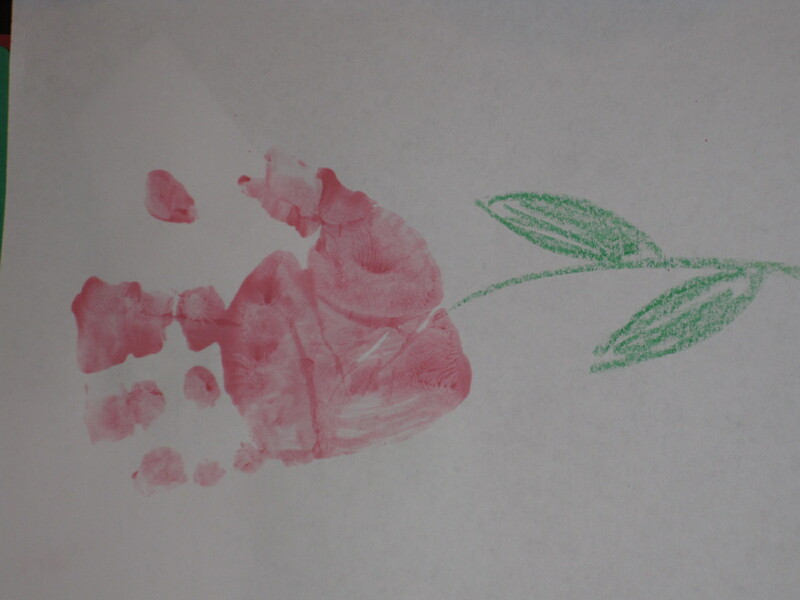 Joseph’s Valentines would feature his handprints artfully arranged to look like a heart and William’s Valentines would have his little handprint posing as a flower. Oh they were going to be so cute! Ouch. Once again, I let my elaborate Mommy ideas get in the way of what was truly important. 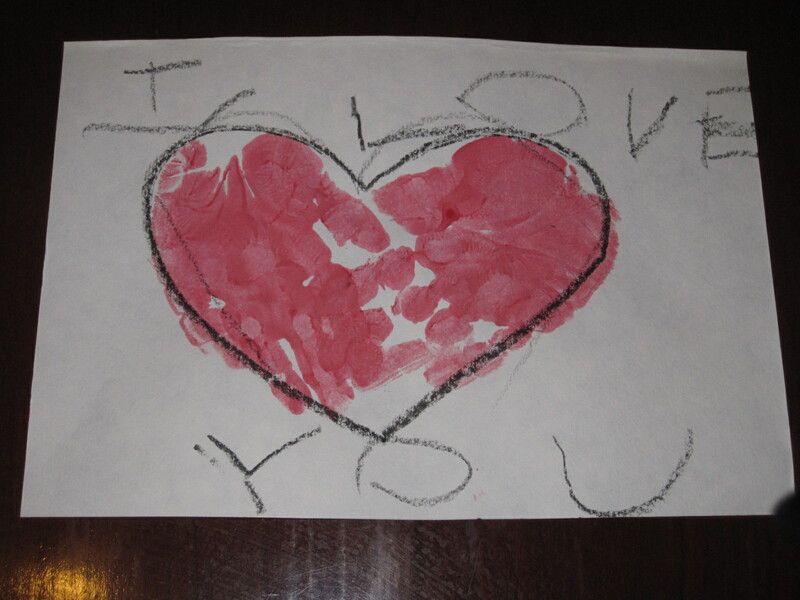 Joseph wanted to make Valentines. 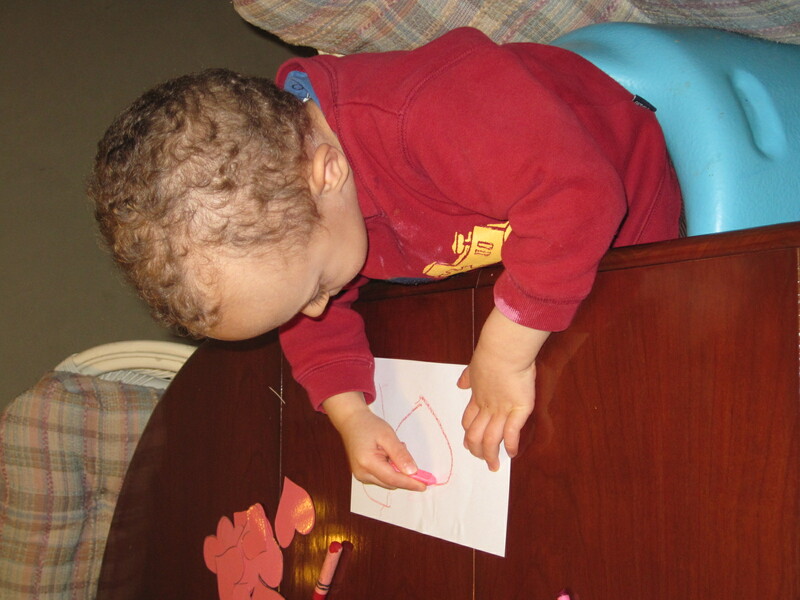 He was excited to show his love by taking the time to make his own Valentines…not a mommy inspired, complicated piece of artwork. 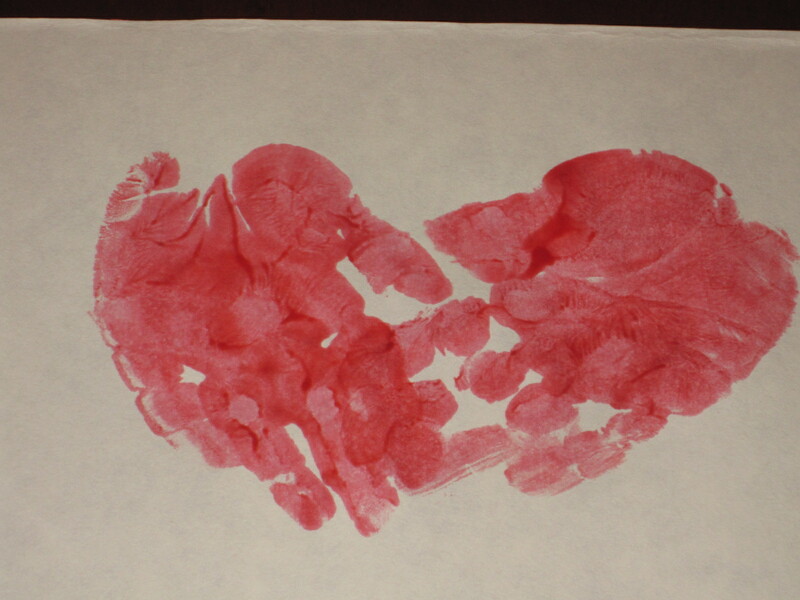 So we turned over the mommy inspired handprints and Joseph began the task of designing his own cards. A simple little hand-drawn heart. One per card. One per loved one. So simple. So beautiful. So definitely from his heart. So this year I learned a valuable lesson. I learned the value of simplicity. 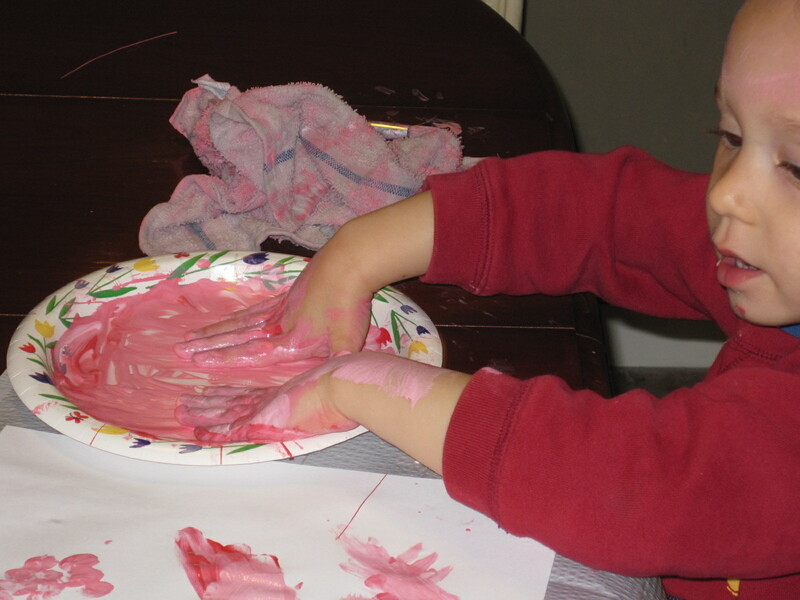 And this year, each person that received a Valentine from our house really received 3…one from William, one beautiful heart drawn especially for them by Joseph, and one from Mommy (with the help of Joseph’s hands). So Happy Valentine’s Day from all of us! 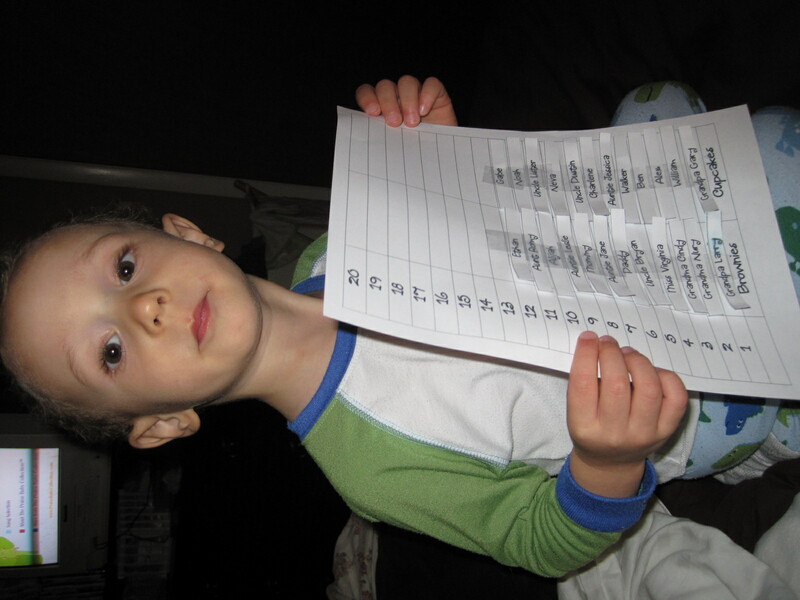 The night before Valentine’s Day, Joseph called each family member and asked if they’d prefer brownies or cupcakes. 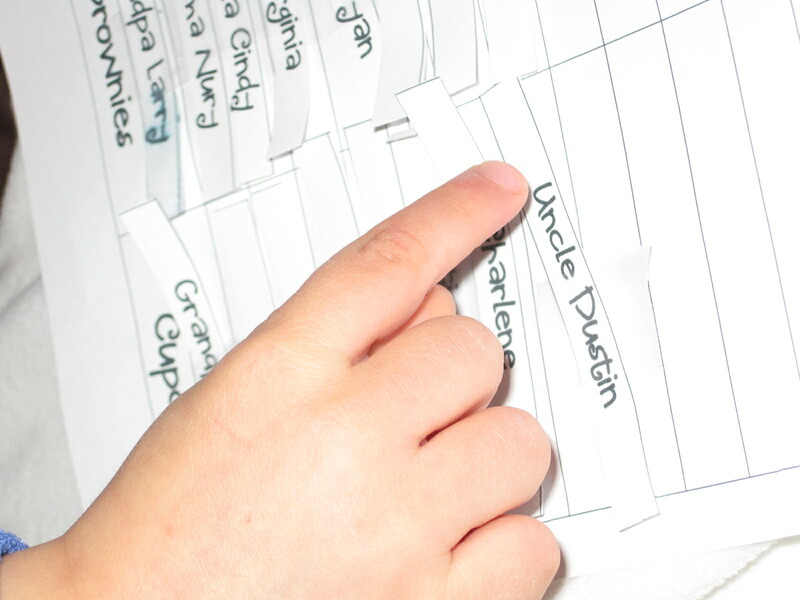 He took the results and made a graph (super sneaky, wasn’t it…sneaking math into a Valentine’s Day project?!). 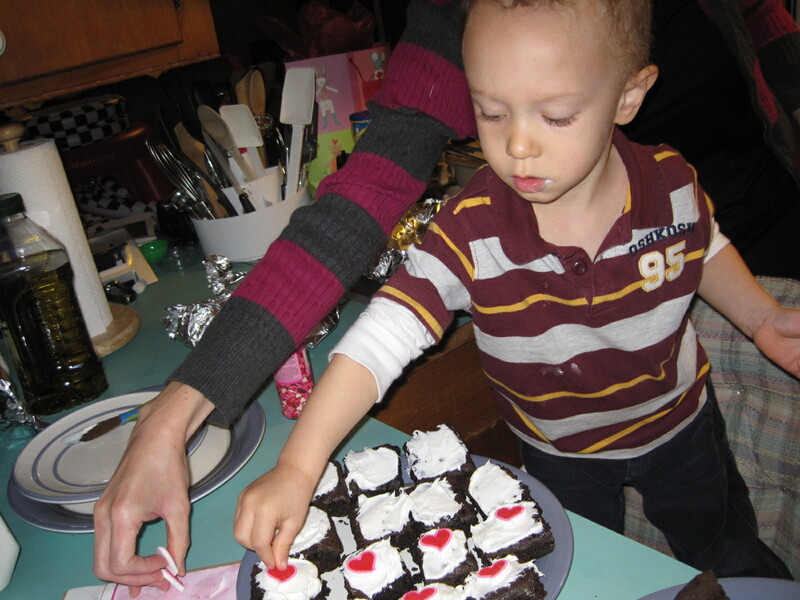 Then early on Valentine’s Day morning, Joseph and I frosted and decorated brownies and cupcakes. 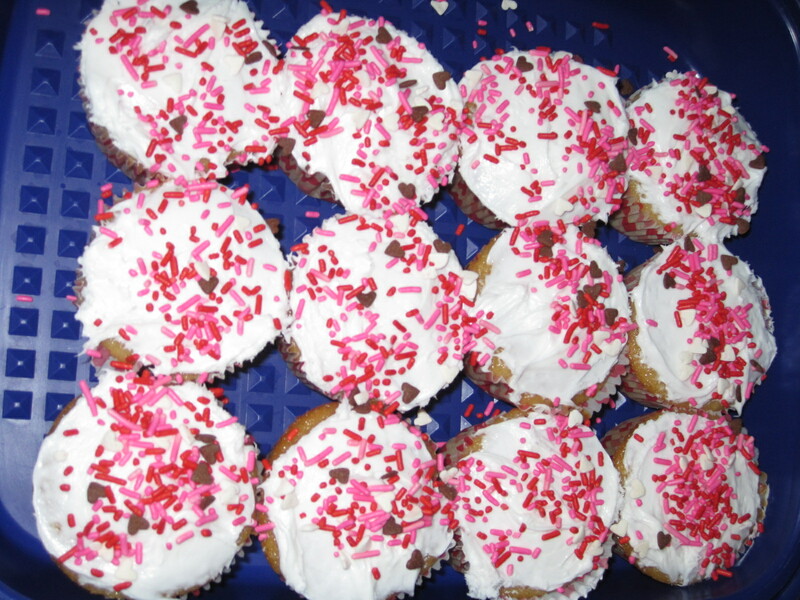 Having learned the simplicity lesson on the cards, I skipped the fancy decorating tips and handed over the sprinkles and heart decorations, because that’s what he told me he was going to do to decorate the cupcakes. And he did. And they were beautiful (and extremely yummy!). P.S.S. 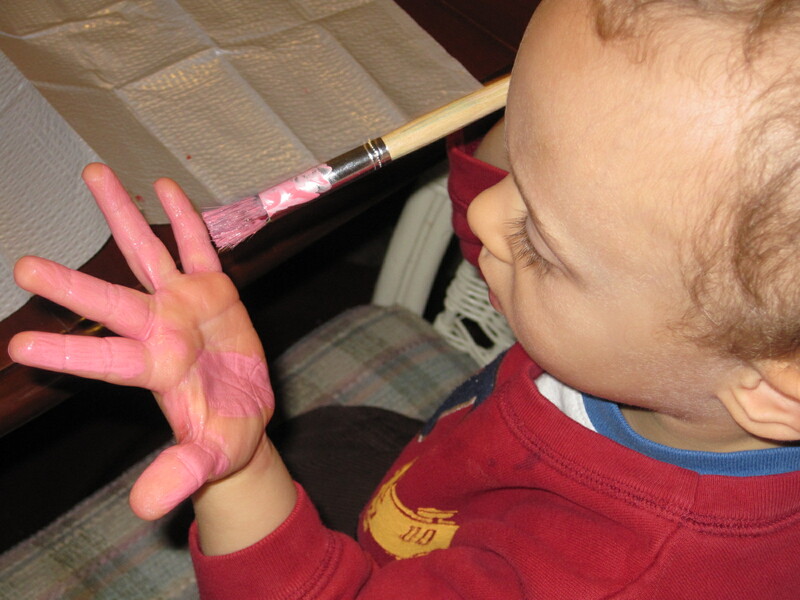 I also learned another lesson…never leave Dax in charge of the kids when they’re painting! 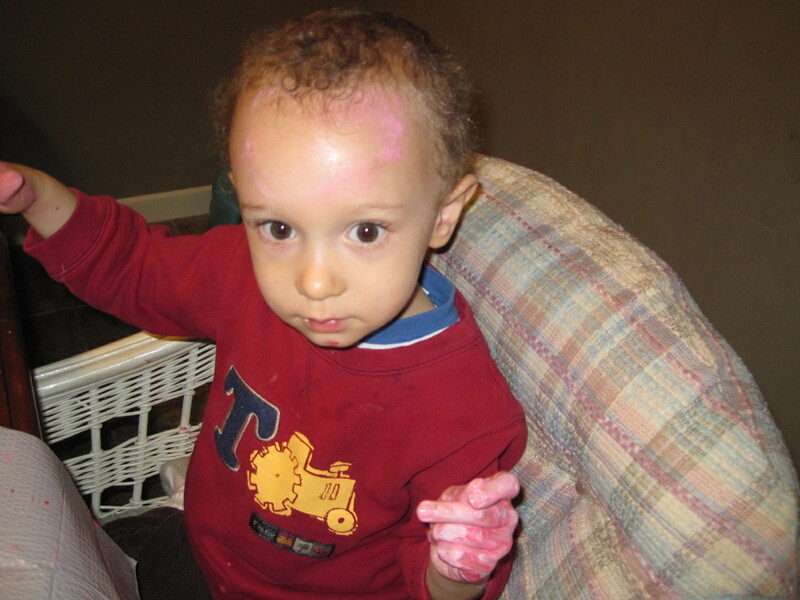 That's pink paint all over his head and in his hair. That is so adorable and just a valuable lesson. 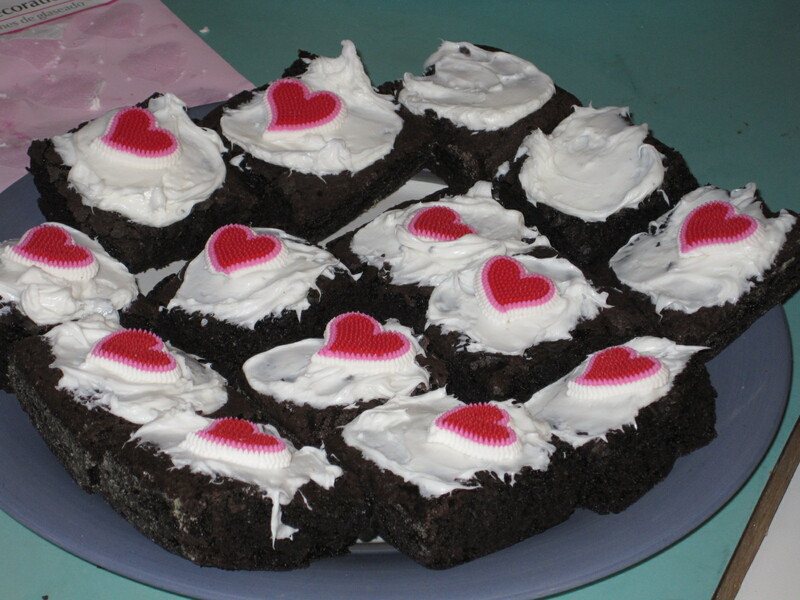 What I wouldn’t give for another one of those brownies right now.